In Zambia, in Kagem Emerald Mines are found some of the highest quality emeralds in the world. Many tons of gorgeous emeralds are here, ready to supply world gemstone markets for decades to come. 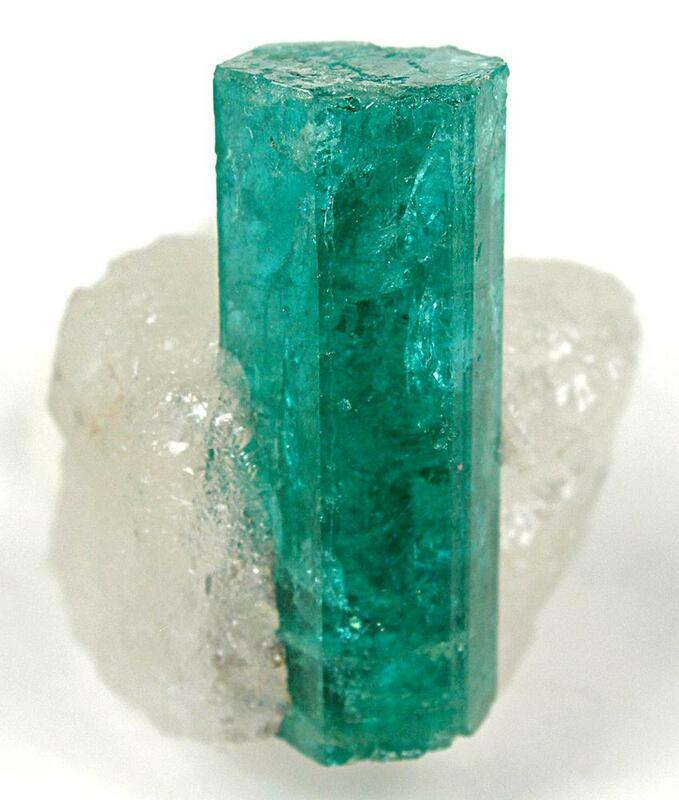 Emerald is green, transparent variety of beryl (Be3Al2(SiO3)6), where part of aluminium ions are replaced with chromium ions (sometimes – with vanadium ions). High quality, well faceted emeralds belong to most expensive gemstones of the world – these stones are rare and it is very hard to work without breaking them. Best quality stones can cost more than 20,000 dollars per carat, good quality emeralds usually are much more expensive than diamonds. Emeralds are known as noble, royal gemstones since the times of Cleopatra. In many periods of the history and in many cultures they have been considered to be the most precious jewels. Since the late 16th century the world market is dominated by the gorgeous Colombian emeralds – also today more than half of world’s emeralds are mined in this South American country. Over the last decades there is arising a strong competitor to Colombian emeralds – Zambian emeralds from Kafubu emerald mines (Kagem Emerald Mines), where are mined 15 – 20% of world’s emeralds. It is considered that the formation of Kagem emeralds started some 450 million years ago. Gorgeous gemstones formed on the contact of two different kinds of rock – pegmatites (Kafubu pegmatite field) and schists. These beautiful crystals were created by the interaction of beryllium-containing fluids, which were coming from pegmatites and magnesian metabasic schists which contain chromium – a source of the green color. Colombian emeralds still are considered to be the best ones in the world and are the most expensive ones. But Kagem emeralds are just as good or even better. Zambian emeralds are less porous and less brittle, have more even color, they do not require artificial improvements. 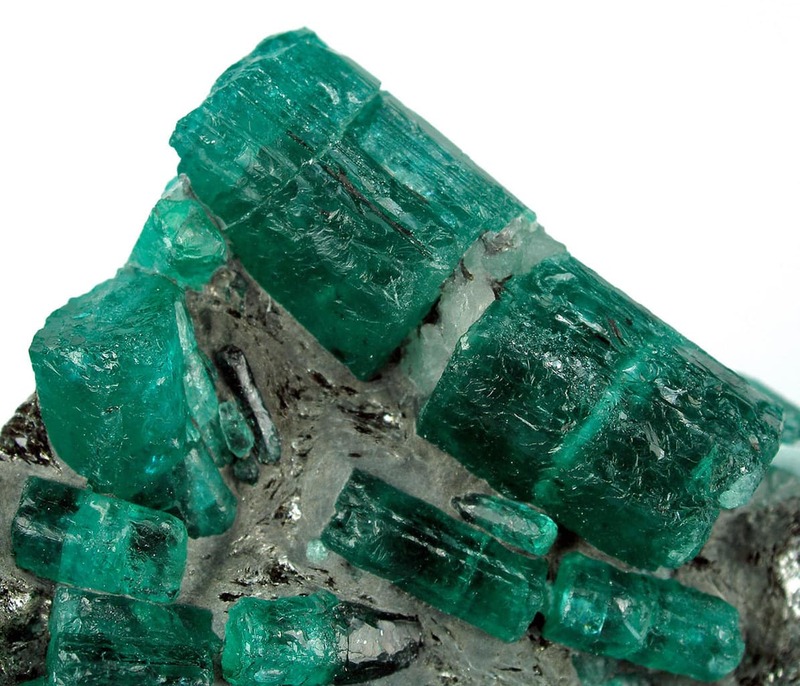 They have specific chemical composition – these emeralds contain much more cesium than emeralds from other locations. The largest Zambian emerald – a 60 cm long giant – was found in Kamakanga Old Pit in the 1980s. Large crystals tend to have diverse colors – lighter, more yellow in the middle and deep green – on the rims. Kagem emerald mines are very rich with tourmaline – which for the most part does not have gemstone quality here. Tourmaline is found as up to 10 cm long, mostly dark crystals of schorl or Fe-dravite (varieties of tourmaline). 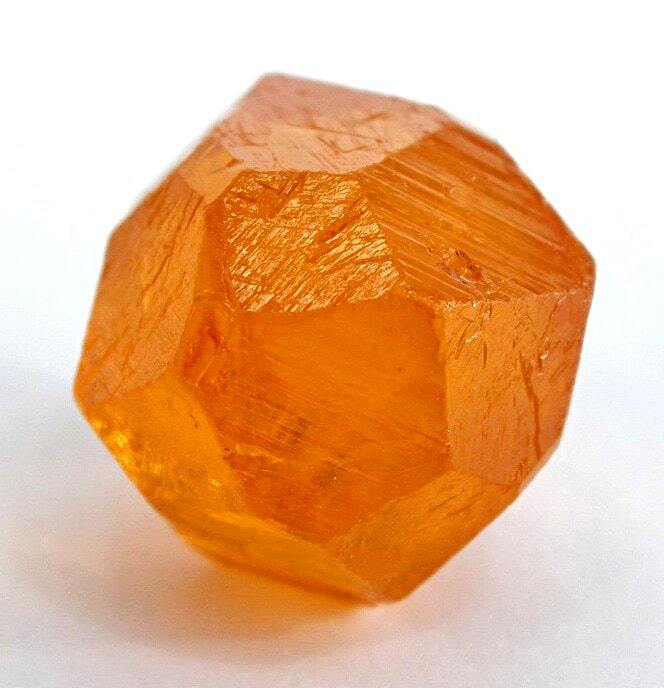 In some locations (Fwaya-Fwaya) is found also garnet – up to 5 mm large spessartine crystals. Beryls in this area of Zambia were discovered in 1928, in Miku (some 14 km west from the location shown on this page). Initially there was not much excitement – beryls were not too beautiful. Small scale mining and exploration in this area continued and in the 1950s in markets appeared first Zambian emeralds. In the 1970s the quality of Kagem emeralds was appreciated and large scale mining was started. Open pit mining continues in several locations up to this day, but over the last years there have been started also underground mines. Kagem emerald mines are located in sparsely inhabited, remote woodland. Here live mainly miners and their families. Mines are spread over the area of some 50 km². Kafubu area (named after Kafubu river which flows through it) has many emerald finds – Dabwisa, Kagem – Fibolele (marked in this article), Kagem Fwaya-Fwaya, Grizzly, Kabashila, Kamakanga, Libwente, Miku (the oldest mine, abandoned now), Mitondo, Pioneer, Pirala and many others, but lately are used mostly Kagem, Kamakang, Grizzly mines. Contrary to most Colombian emeralds, Zambian emeralds are mined in environmentally and socially conscious way, bringing benefits to local communities. In the first half of 2011 here were mined 3.74 tons (!) of emeralds. It is expected that Kagem Emerald Mines will provide many beautiful emeralds for several decades to come. Antonín V. Seifert, Vladimír Žáček, Stanislav Vrána, Vratislav Pecina, Jiří Zachariáš, J. C. (Hanco) Zwaan. Emerald mineralization in the Kafubu area, Zambia. Bulletin of Geosciences, Vol. 79, No.1, 2004, Czech Geological Survey. 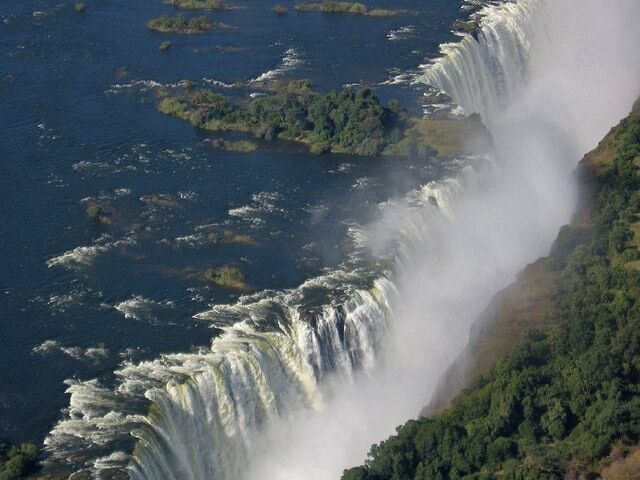 Highlights of Zambia are: waterfalls, especially the magnificent Victoria Falls and prehistoric rock art. Gemstone finds are locations where are found rare and beautiful stones which can be used for jewellery and have high market value. Many gemstone finds – such as jadeite mines in Guatemala or Sar-i Sang lapis lazuli mines in Afghanistan – have been used for millenia and are legendary places. Following the spectacular success of the first four editions of Gemstones of the World, the revised fifth edition exhibits important updates and a beautiful new cover. All the gemstones ever discovered—now over 1,900—are treated in their many variations. More than 1,500 full-color photos showcase each precious and semiprecious stone in both its rough natural state and its polished and cut renditions.